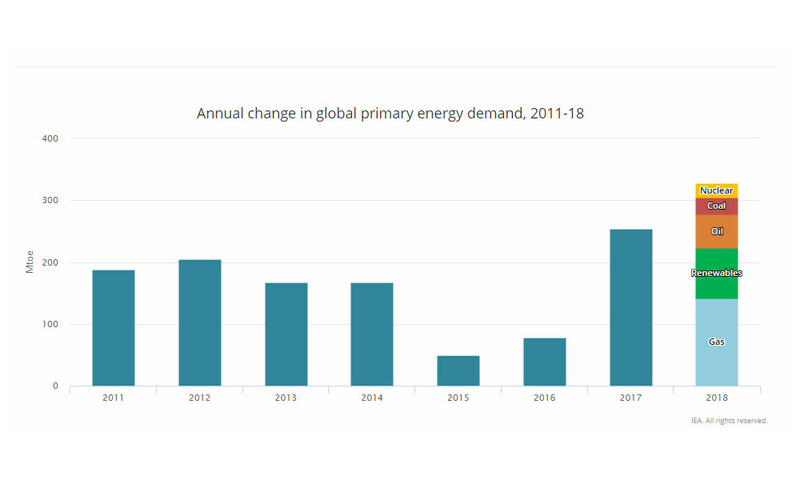 Energy demand worldwide grew by 2.3 percent last year, its fastest pace this decade and pushing energy-related carbon emissions to a record high, according to the International Energy Agency, which is calling for urgent action to develop clean energy solutions. The increase in energy consumption in 2018 was driven by a robust global economy and higher heating and cooling needs in parts of the world. Cold snaps drove demand for heating but, more significantly, extreme heat pushed up demand for cooling. Demand for all fuels increased, though nearly 70 percent of the growth was met with fossil fuels. Solar and wind generation grew at double-digit pace, with solar alone increasing by 31%, but it was not enough to meet higher electricity demand around the world. The report from the IEA, which was released in Paris on early Tuesday morning, said the growing demand pushed global energy-related carbon emissions to a record 33 gigatonnes in 2018, an increase of 1.7 percent. But only 3 countries accounted for nearly 70 percent of the global rise in energy demand: China, the United States, and India. China saw the most substantial increase in energy demand: 3.5 percent, the highest since 2012 and accounting for a third of the global growth. Energy demand in the U.S. grew 3.7 percent, nearly one-quarter of the global growth, after three years of decline. Primary energy demand in India increased 4 percent, accounting for 11 percent of global growth. Energy demand in Europe followed a different path, rising only 0.2 percent despite an economic expansion and warm weather affecting large parts of the region. This was in part thanks to an increase in energy efficiency in Germany, which resulted in a 2.2 percent drop in energy demand, and a 6% fall in the demand for oil. Demand in France and the United Kingdom, however, increased moderately. 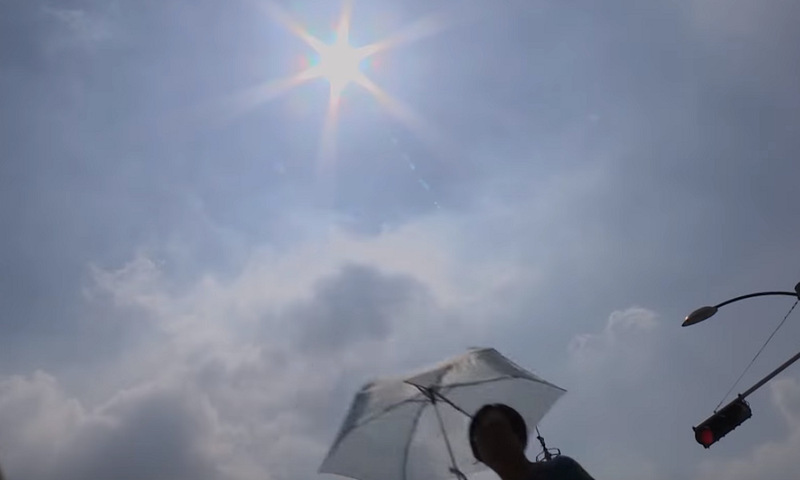 Since 1880, Earth’s average surface temperature has warmed by about 1.4 degrees Fahrenheit (0.8 degrees Celsius), a trend that is largely driven by the increase in carbon dioxide and other human emissions. Calls are growing for urgent action to limit further warming. The Paris climate deal, which is supported by all countries except the U.S., aims to keep the global temperature rise this century below 2°C (3.6°F), But experts say the measures in the agreement are insufficient and countries which fail to fulfill their commitments are not penalized.